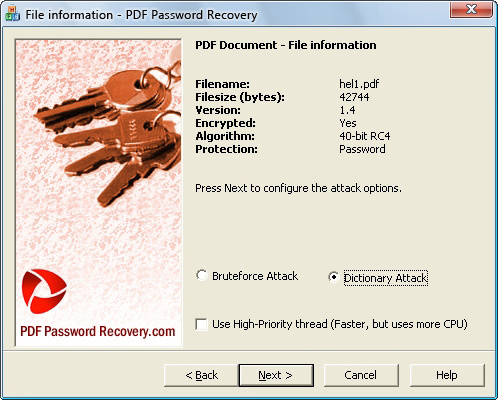 Looking for the ULTIMATE in PDF Password Recovery? Our Software Takes MINUTES to Recover PDF Passwords. LOST your PASSWORD to that PDF file? Employees LEFT leaving you no other option? Got PASSWORD-PROTECTED PDF FILES that you MUST open – TODAY? Then it’s about time you made technology work for you – and CRACK the password, with PDF Password Recovery! This POWERFUL Password Recovery Software is an exciting security tool designed exclusively for Windows. Simply select your PDF file and wait for a few minutes while your password is recovered. Using a combination of Smart Dictionary™ and brute force, the PDF Password Recovery tool will uncover your password QUICKLY and EFFICIENTLY. And it’s all perfectly legal. So if you want a quick solution to your PDF password problems, then grab yourself a copy of this amazing software, TODAY! Please DO NOT use this powerful password recovery software to access a document that you are not authorized to access. SAVE $50 IN APRIL: Order in the month of April and you’ll be able to purchase PDF Password Recovery for the discounted price of just $14.95, rather than the usual $64.95! SPECIAL FRIDAY OFFER: Purchase TODAY and you’ll also receive a FREE password generator, a FREE version of PDF-Creator, and a FREE 3D adventure game to play while your password is being recovered! Download links sent instantly via e-mail. Requires Windows & Net connection. Here are just a few of the awesome features you’ll discover inside this amazing software package. We promise to recover absolutely ANY PDF password. And it requires absolutely no effort. Just click to watch the software check THOUSANDS of passwords each and every second! You won’t find a smarter recovery tool! PDF Password Recovery uses Smart Dictionary™ to check millions of common passwords, then Brute Force to crack the passwords one-by-one. The average PDF password is cracked within just FIVE MINUTES. There’s typically NO waiting and NO leaving your computer switched on for days. That's the power of PDF Password Recovery! Do you know certain things about the password? Perhaps it’s all numbers? Or maybe it’s five characters long? Just tell the software and it’ll use this information to speed up its password cracking. 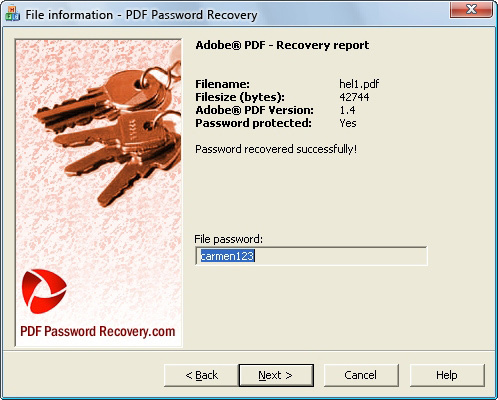 Not only will PDF Password Recovery successfully recover your password, it can also remove the password DIRECTLY from many documents. Just use the Crack & Save™ feature and you’re done! - And Claim Your $$$$'s in FREE Software Gifts! Crack all of your PDF "open" passwords in seconds, with this powerful Windows tool. With built-in Smart Dictionary™ and Brute Force cracking methods. We’ll send you two password dictionaries to use with the program that will reduce your recovery time to just MINUTES. Commonly check ALL of the common passwords in seconds! In addition to PDF Password Recovery, you’ll also receive a FREE password generator to ensure your new passwords are ultra-secure. We’ll also give you a FREE mini-version of PDF-Creator, enabling you to create up to five PDF files free of charge. PLUS, we’ll also throw in two exciting, FULL-VERSION shoot-‘em-up GAMES for you to play while your password is being recovered! Got questions? We’re available around the clock to provide assistance. We guarantee your password will be recovered – and our dedicated help site at myHelpHub.com is always available to lend a helping hand. Take advantage NOW while our prices are still at an all-time LOW – and while you can claim all of these FREE gifts with your order! Just click on the order button BELOW! 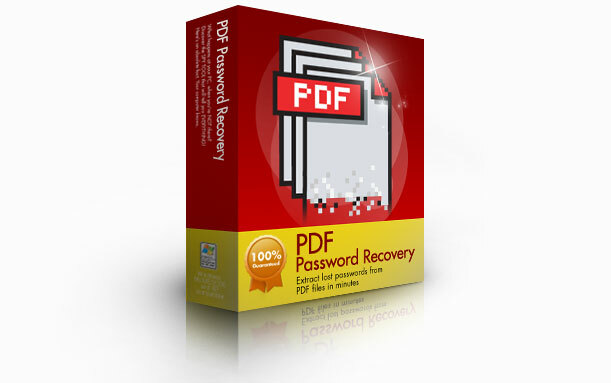 PDF Password Recovery Home | FAQ | Affiliates | Contact Us | BUY NOW!